Hi there, I love Cheery Lynn's weekly challenge themes and this week is definitely a favorite. Love flowers and especially the Cheery Lynn Designs flowers so creating a card with roses was super fun! I started my card by embossing my grey card stock using Hearts and Rose Leaves Embossing Plate and went over it with white ink pad to show the pattern even better. Than I die cut two Pierced Stacker #3, one out of grey card stock (the larger ones) and out of light pink (the smaller one) and layered them on top of each other. I also die cut a Royal Scandinavian Oval Doily once out of cream card stock and the middle part out of grey yardstick to layer on each other and added that on top of the stackers. 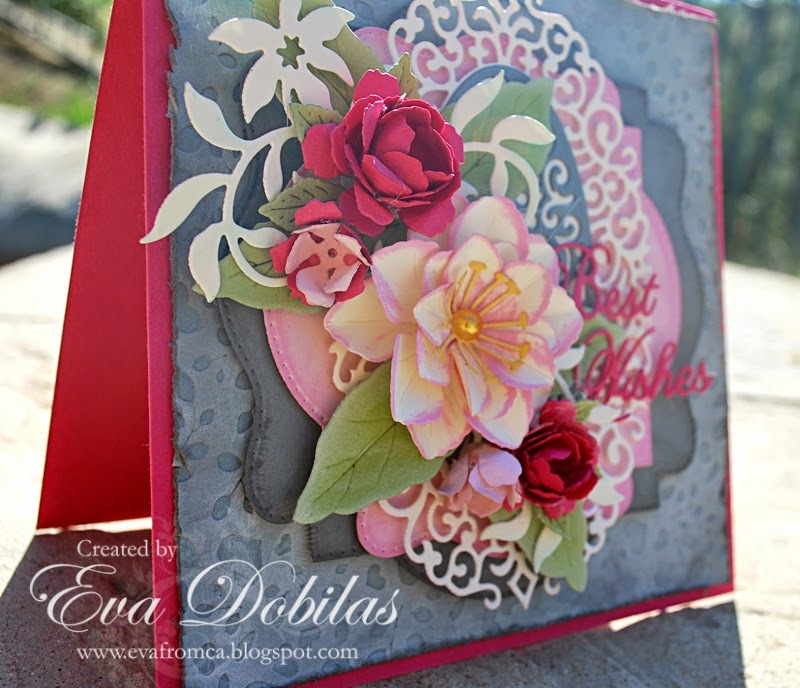 Than I wen to town and created all my flowers and flourishes using Tea Rose Medium, Tea Rose Small, Judy's Blooms, Embellishments #3 and Leafy Flourish. 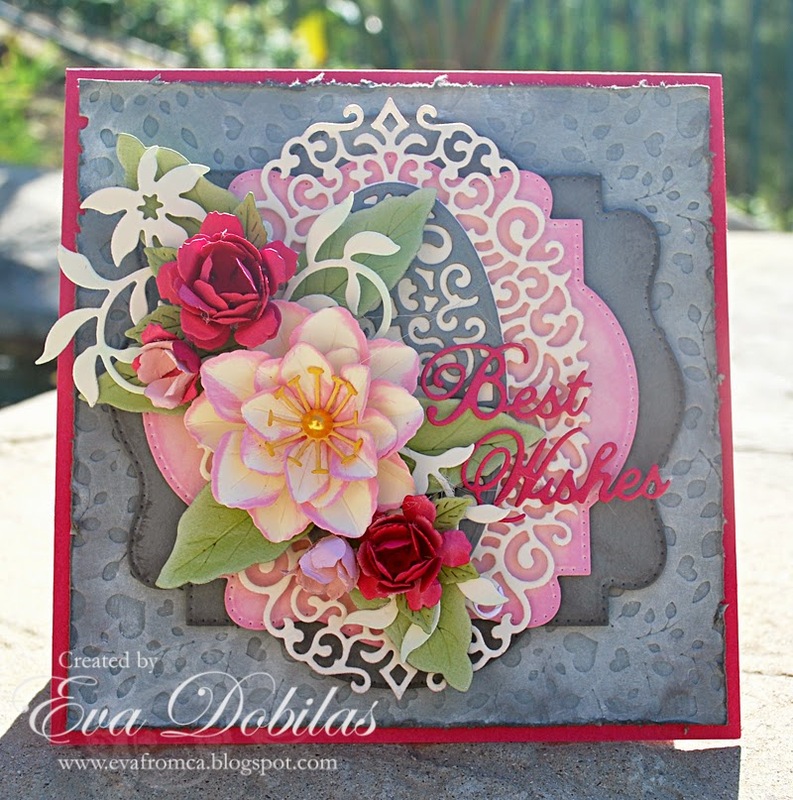 I used cream, light pink and dark pink card stock to create my flowers with and finally I finally I die cut the Best Wishes Phrase out of dark pink card stock.